Let Us Make it Hassle-Free! 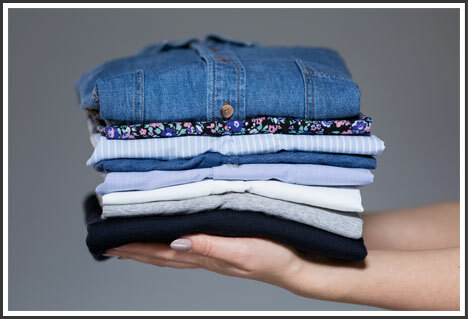 Doing laundry has never been this easy thanks to Quality Cleaners, the go-to dry cleaners in Macon, GA. We provide comprehensive laundry services as well as clothing alterations so you can enjoy clothes that look very becoming on you. Our attention to detail ensures that not a single speck of dirt remains on your clothes after our work. Look forward to hassle-free laundry days by leaving the cleaning to us. We treat your clothes as if they’re our own, which is why we put immense care in cleaning them to perfection. Our dedication to providing the highest-quality services earned us our reputation as Shurling Drive’s leading dry cleaners from more than 2 decades. Headed by our manager, Jerri Roberts Day, we always go out of our way to meet and exceed your expectations. Come and visit us to learn why customers across the city turn to us for all their laundry and dry cleaning needs. Let Quality Cleaners clean your laundry so you don’t have to! We offer top-quality services, from dry cleaning to clothing alterations. Drop off your laundry at our shop today so we can get started with the cleaning right away. For more information about our services, don’t hesitate to get in touch with us.